The first time I heard about Kurhi was from a member from my facebook group. 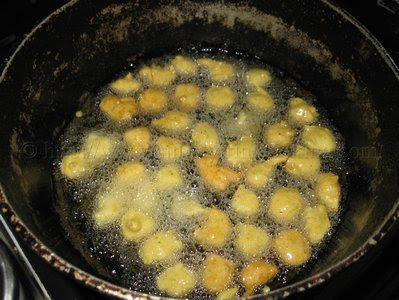 She made a request for it, and since it was not in my already large list of recipes to do, I decided to do a post… I thought I knew what kurhi was; possibly some kind of fried dish like baiganee, but I was in for a surprise. 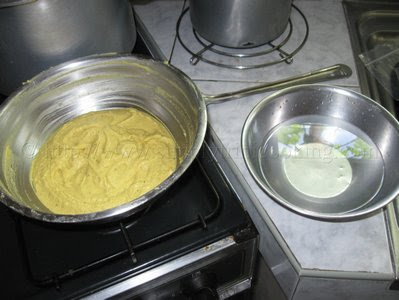 I had eaten it already for Divali by a friend but I didn’t know what it was until I did the post; all I was told at the time was that it was a dhal made with split peas powder instead of the regular split peas. 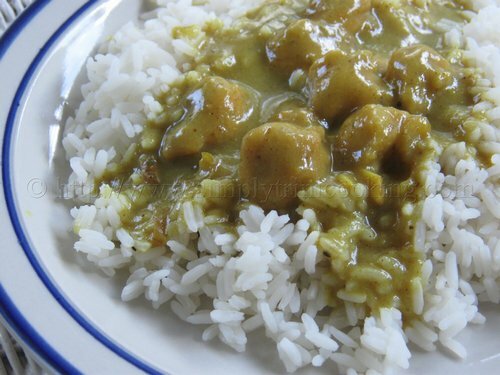 So that was what I knew it as; just dhal made with split peas powder. 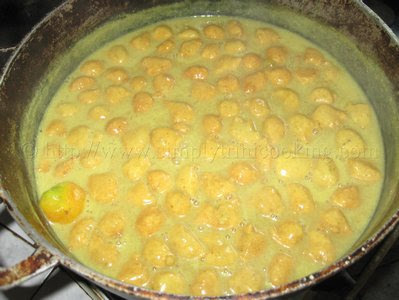 But that was not all, there were also the little split peas pholourie, called boulders, that was added to the dhal. 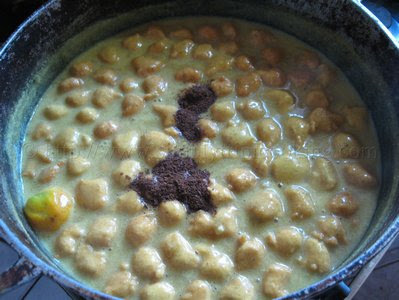 Later on for ease of remembering, I just settled on calling Kurhi – split peas powder dhal with little balls. OK! Now that I knew what it was, it would be easy to make right? Wrong! 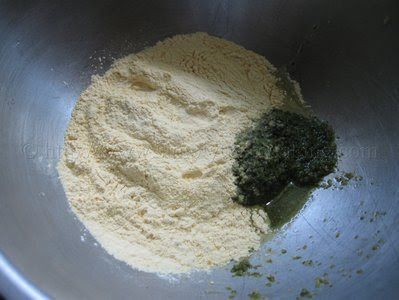 There was a technique to mixing the split peas powder for the pholourie part, that my mom’s friend showed me while she made it. 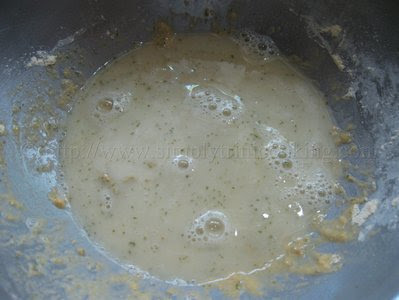 The batter had no baking powder in it yet it floated when dropped to a cup of water to test. Isn’t that amazing? I will show you what she did. 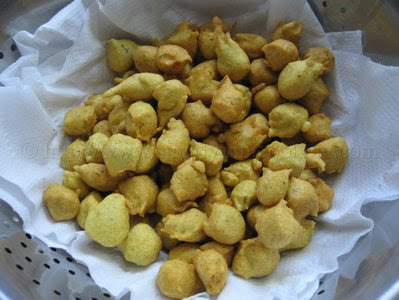 Usually it is eaten with rice, like in the picture, but I feel that you could try it with roti as well; break and dip style. 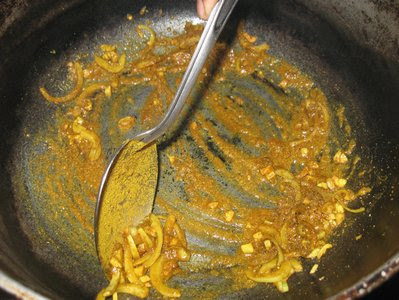 This makes a very appetizing vegetarian dish and of course you could add the different chutneys too. Enough of me talking; here’s Kurhi. Enjoy! 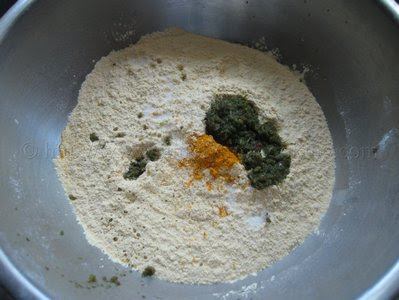 Mix all the ingredients in a large bowl thoroughly. 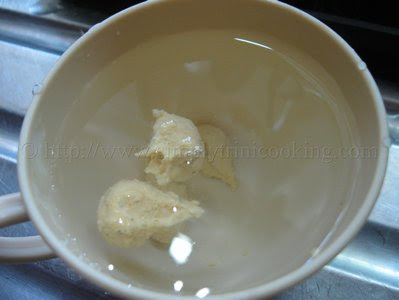 by dropping small blobs of batter in a cup of water until it floats. Note: This is the technique I mentioned earlier. 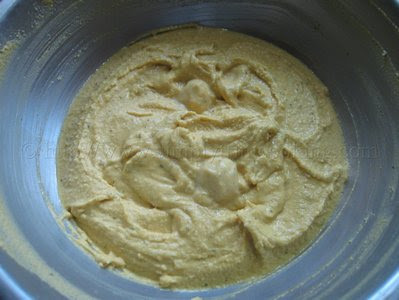 It seems that the constant mixing introduces air into the batter to make it buoyant. The batter for the “boulders” is ready. 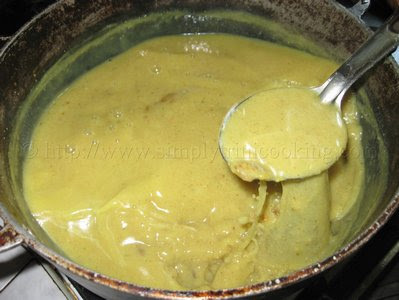 Have a little bowl of water at hand to dip the spoon into before dipping it in the batter. 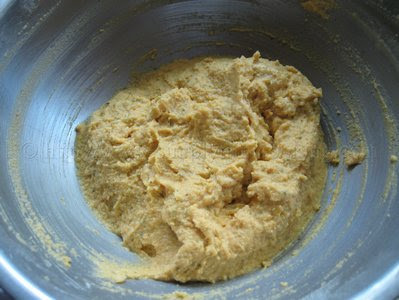 Note: You could use either a 1/2 tablespoon or tablespoon according to the size you want. 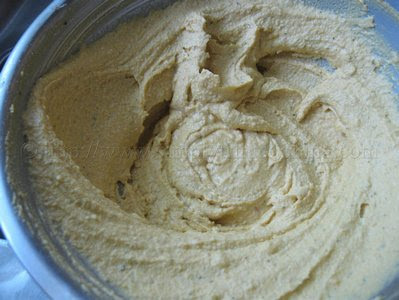 Don’t forget to dip the spoon in the water first then in the batter! 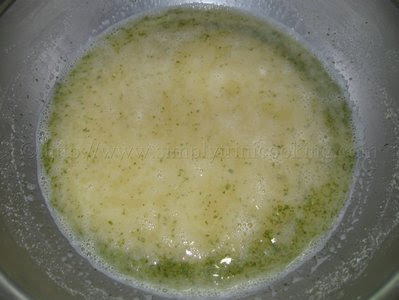 Mix the split peas powder and green seasoning in 3 cups of water. 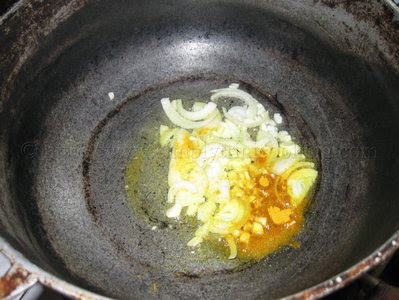 Heat the oil over a medium flame…. 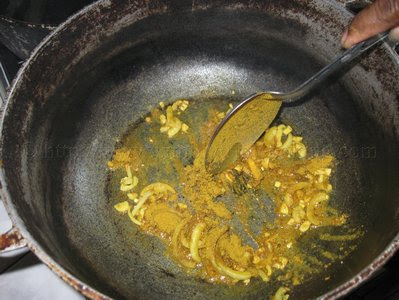 and add the garlic, onion, and saffron (tumeric) to saute. 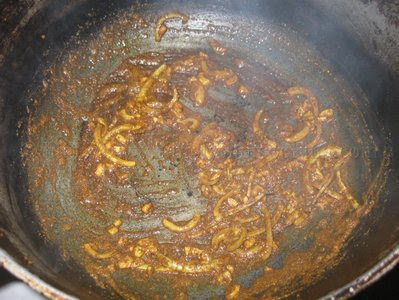 Add the curry and let it fry until it is about to stick to the pot. 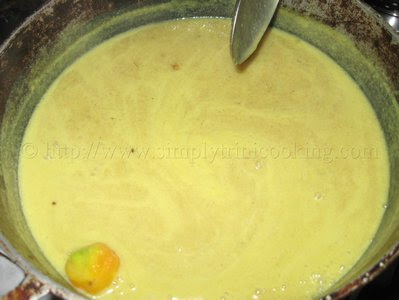 Note: While stirring, the dhal will thicken. I was surprised to see how much dhal was made. 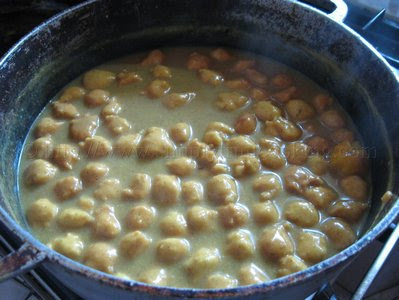 Add geera and salt to taste. 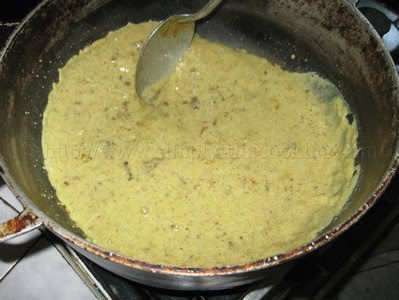 The finished kurhi: serve over rice or with roti. See how easy it was! The kurhi went well with rice and some mango chutney at the side. Well that’s it for another week of posting. More to come as usual. Ah gone! That sounds very good. Good job of pictures and description. I would love to try it. this is kadhi chawal ( kadhi n rice) a typical food of the punjab region n middle of India…the boulders, as you call them are the pakdis of the kadhi……………………..
why don’t you come over n find some more things which resembles trini cooking …i’d be overwhelmed if somebody told me that something from my archives is something like they cook in their country. @ Sangeeta I wouldn’t be surprised at all. 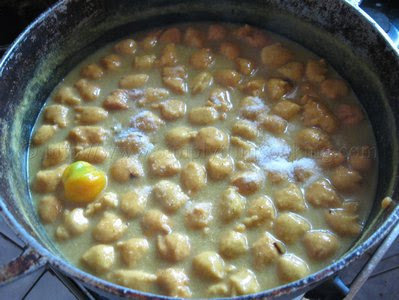 What’s nice though is to see how after 164 years since East Indians came to Trinidad and Tobago (May 1845) the recipes haven’t changed much to the recipes you have done. I’ll pass by and see what other similarities we have. 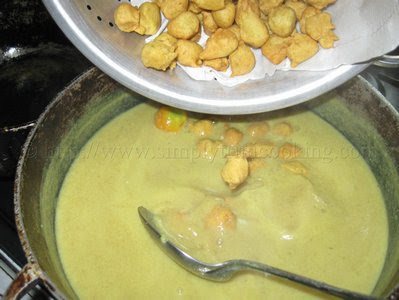 In Guyana, this is called Karhi, I never liked it 🙁 Don’t know why. Do you know how many people this would serve? I am making my first divali dinner for friends this friday and would love to make this. I love this, especially for Devali. I tried the recipe It turned out great my Sisters aunt and mom always made it for me this was a great help. 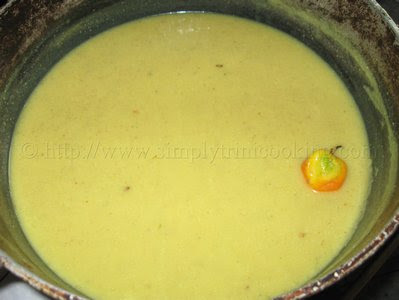 Does anyone have a recipe for lapsi @ soharee? 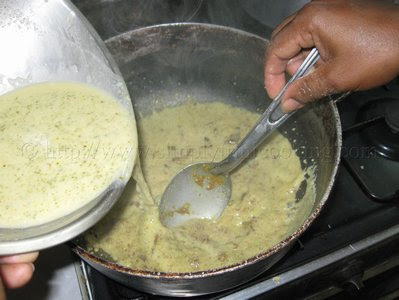 Do you have a recipe for lapsi and soharee? Would love to learn how to make that. Hi Felix, thank you for generously sharing your recipes. 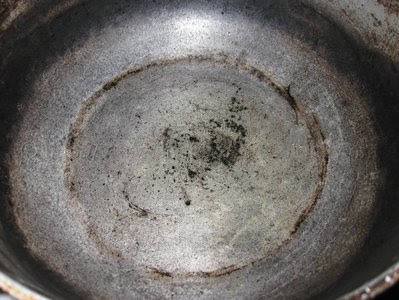 I use them all the time and the dishes are always a hit.